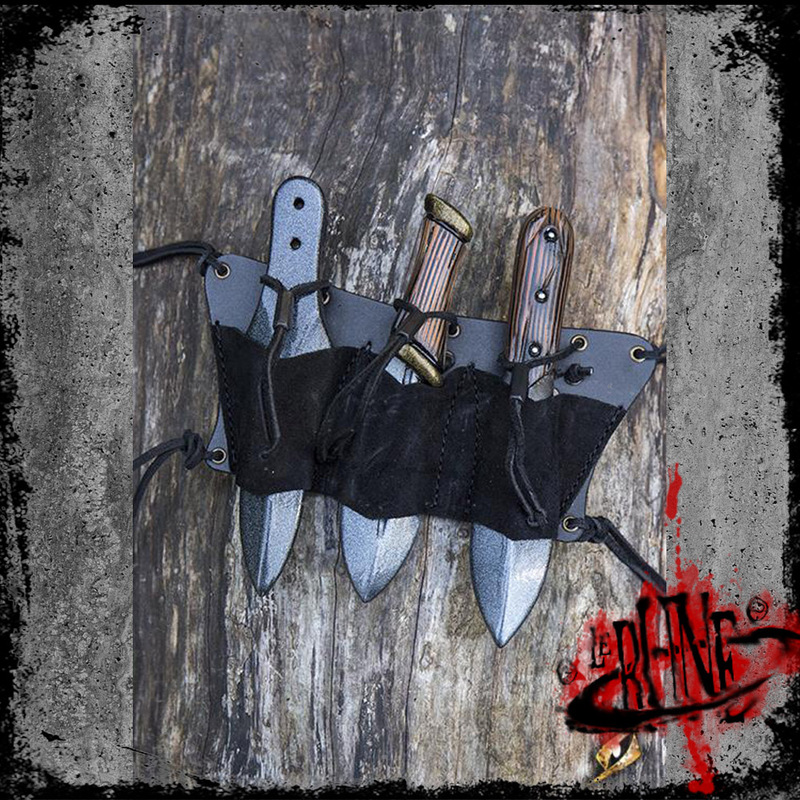 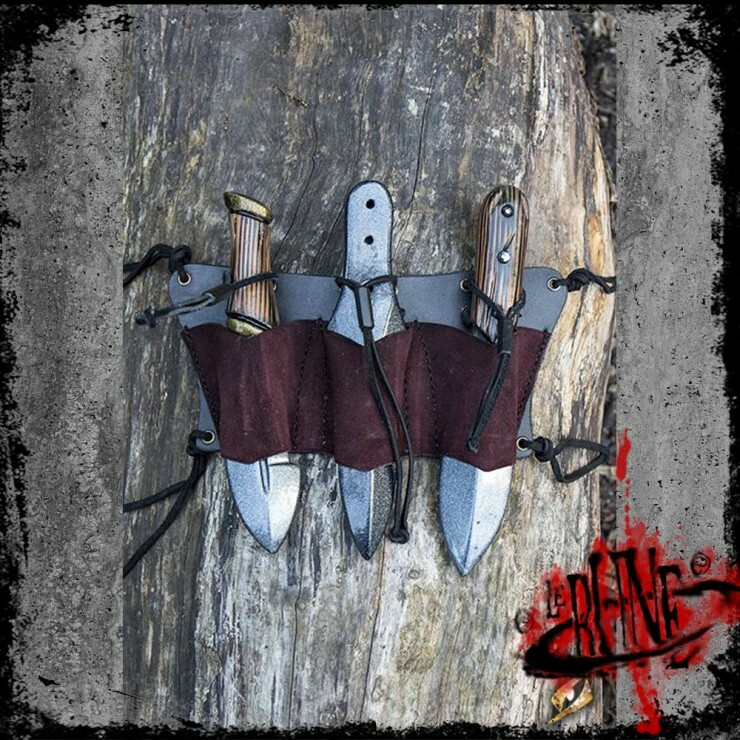 This Throwing Knives Holder is a leather frog that keeps up to three throwing knives handy when the going gets rough. 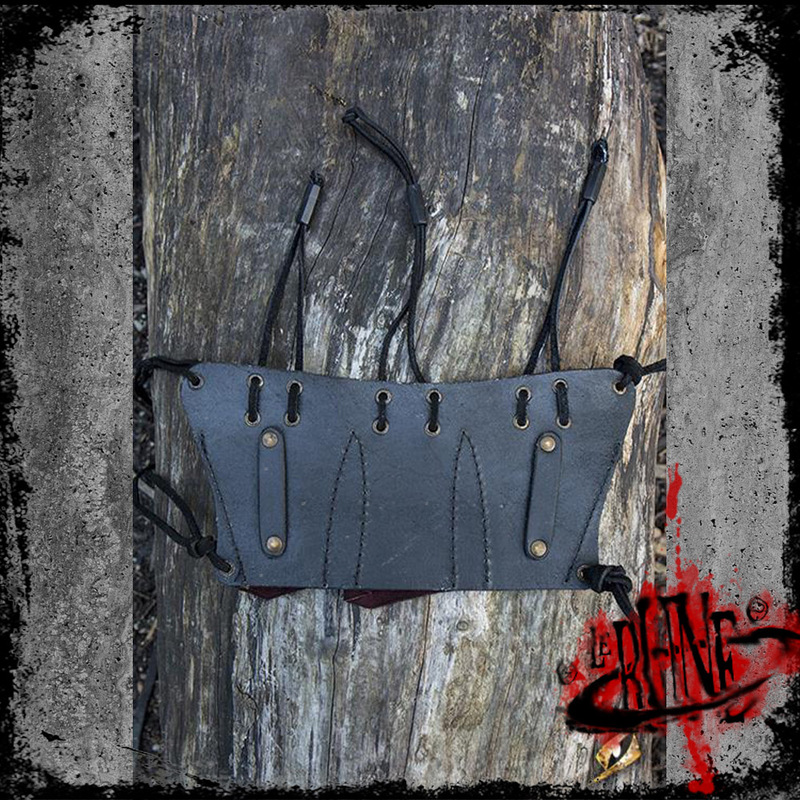 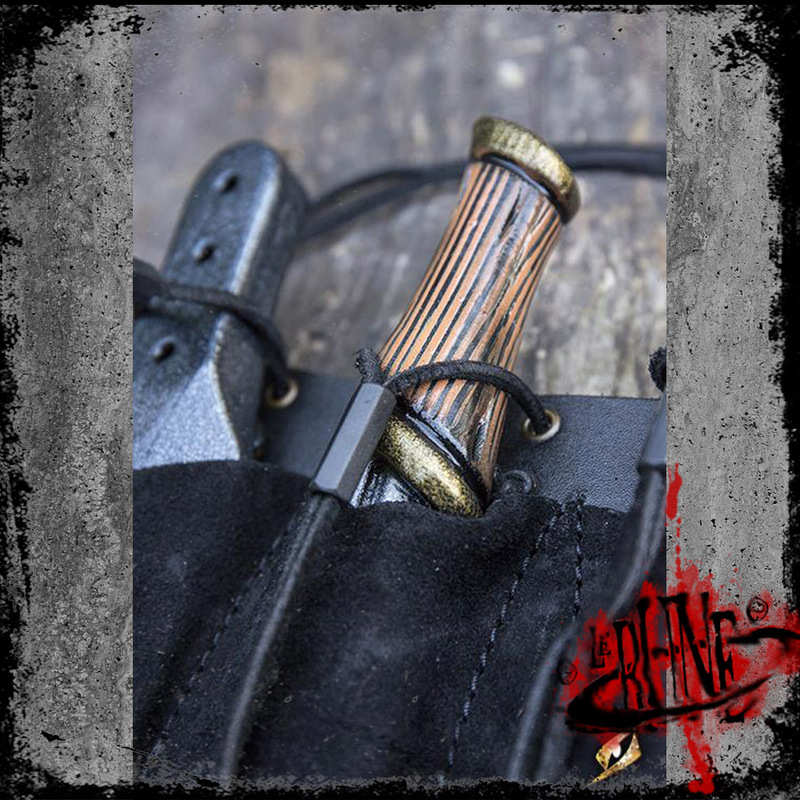 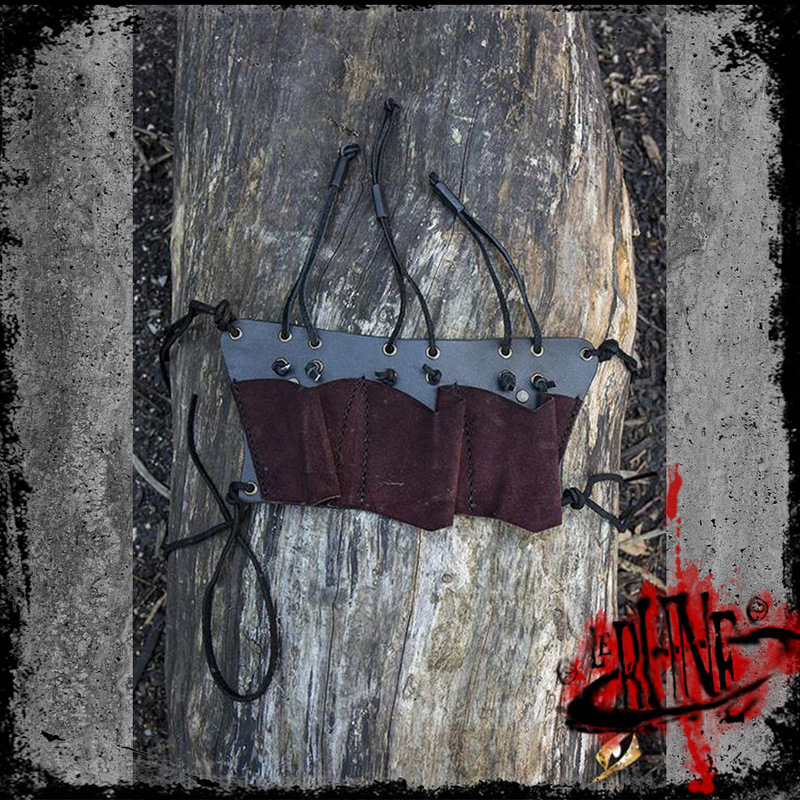 Designed to hang from any Epic Armoury belt or baldric, this holder is handmade, open at both ends, and will accommodate a throwing knife up to 4 cm in diameter. 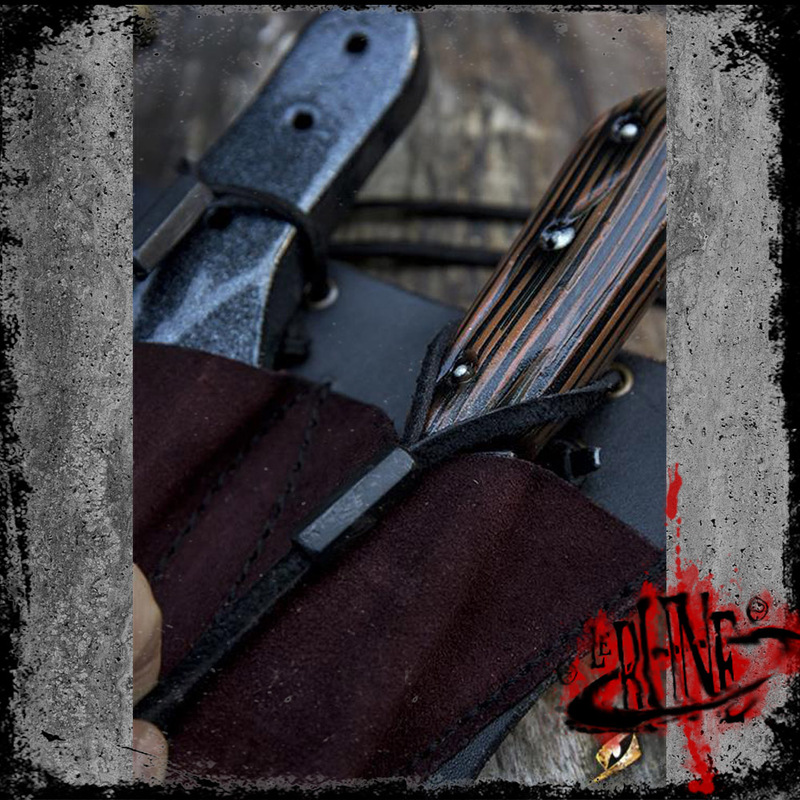 The loop around each knife is made from gentle split-leather, protecting your weapons from wear and tear, while a leather cord keeps each knife extra secure.